Emergency statement calling for an end to forcible surveys for the construction of the US military airfield in Henoko and the cancellation of the relocation plan. Nevertheless, the Governments of Japan and the United States have forced sacrifice on and discriminated against the Okinawan people for many years. Even now, the governments are still oppressing the people’s resistance, showing an authoritarian attitude towards opposition to the disproportionate concentration of the US military bases in Okinawa. Such action by these democratic governments is against the spirit of the Declaration of Independence of the United States and the Constitution of Japan. The landfill project in Henoko is a grave error because it undermines democracy, and it will destroy the main habitat of an endangered species, the dugong. The United States will lose credibility with the international community, if it joins Japan in wiping out the dugong and drastically compromising the biodiverse environment of Yambaru (the northern part of Okinawa) in order to build a new air base. Drumming up public fear, the Japanese government has used the dispute with China over the sovereignty of the Senkaku Islands, to justify permanently fixing the US Marine presence in Okinawa and increasing their access to the land and sea. It has argued the new base will play a role in deterring China, and that the MV-22 Osprey aircraft will help defend the islands. However, these assertions are unsubstantiated in both military and diplomatic terms. Since the end of World War Two, the United States government has consistently taken a neutral stance on sovereignty over the Senkaku Islands. Under pressure to reduce the national defence budget, the US military intends to gain funding from the Japanese government in its plan to transfer Marines from Okinawa to Guam, arguing the US marines play a role in defending the Senkaku Islands. The presence of the US Marines on Okinawa is not deterrence. The effectiveness of the deterrence effect of the US forces depends on the willingness of the United States to defend Japan, and on US air and sea capabilities – not the marine force. The deterrence effect also depends on how the leaders and people of the nations at which deterrence is targeted evaluate the presence of the US Marines on Okinawa. In extreme situations such as an armed conflict between Japan and China on or near the Senkaku Islands, Japan must have first responsibility for defense of the region, and then the United States will employ its sea and air power to support Japan. There is no benefit in the United States military sending the US Marines to the islands. If an armed conflict should happen in the region, this will only serve to catastrophically damage the economy and safety of the world, not only affecting Japan, China and the United States. The three countries should at least build a consultation mechanism to avoid unexpected armed conflicts. First, Japan and China should strive to reduce the growing distrust and conflict between the two countries. We would like the leaders of the two countries and Taiwan, to make diplomatic efforts to create peace in the East China Sea. US Air Force Base Kadena and its ammunition depot have 1.7 times of the total area of the six major US bases in the main islands of Japan including Yokota, Atsugi, Misawa, Yokosuka, Sasebo and Iwakuni. Furthermore, the US Marine Corps Bases including Futenma Air Station in Okinawa occupy an area more than three times that of the Kadena Air Base. 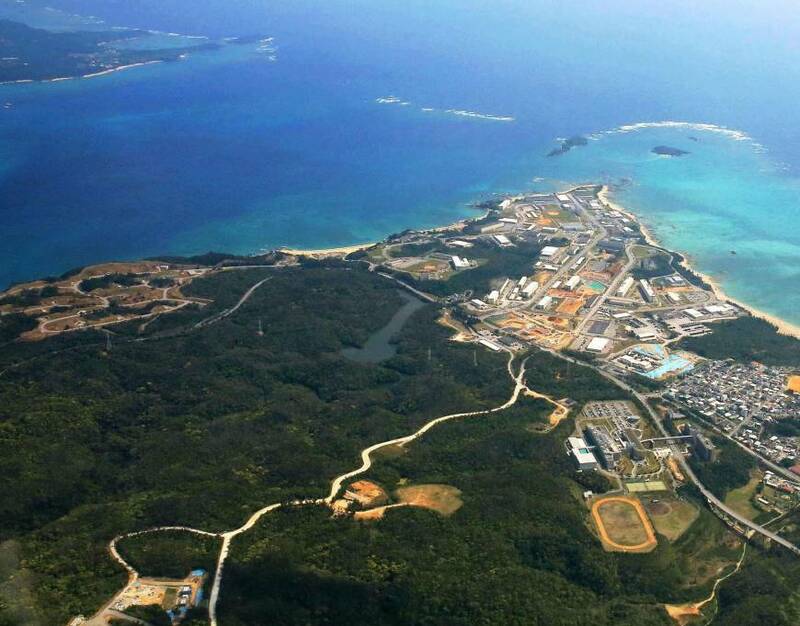 The excessive concentration of the US bases in Okinawa is an unbearable burden for Japan’s 44th smallest prefecture. People living in Okinawa would finally feel that the base burden has been reduced somewhat, if the marines were to withdraw from Okinawa. 1) Immediately stop survey works for the plan to build a new air base for the United States Marine Corps in Henoko in Nago, and abandon the relocation plan. 3) We urge the Japanese government to; work on protection measures for rare species and the natural environment of the northern areas of Okinawa, including Henoko, Oura Bay and Takae; and apply for the inclusion of the Amami and Ryukyu islands on UNESCO’s provisional list of candidates for World Heritage sites. We would like the governments of Japan and the United States to listen to the recommendations on protecting endangered species in the areas of Henoko, Oura Bay and Takae, made repeatedly by the International Union for Conservation of Nature (IUCN).